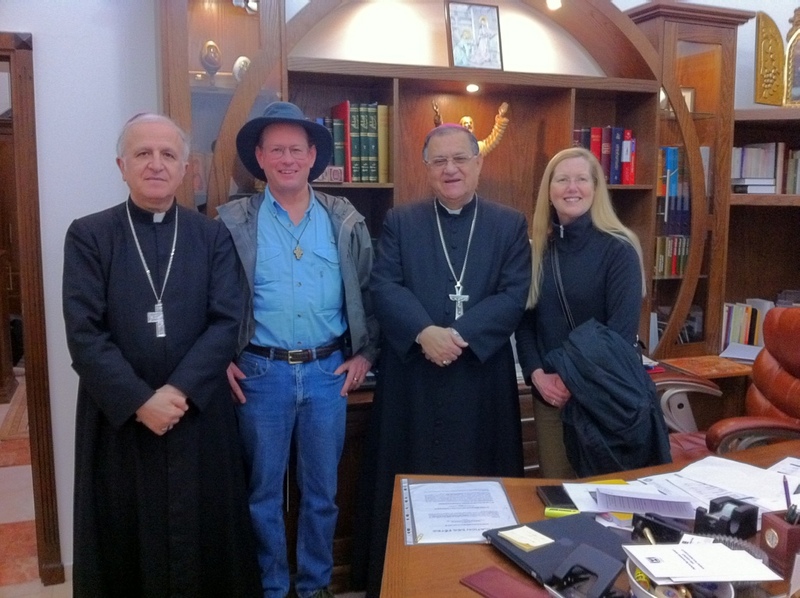 Janet and I met with Auxiliary Bishop of Jerusalem Msgr. Shomali and Jerusalem Patriarch Faoud Twal to deliver our gift of new English Missal. They invited us to come back any time with our groups. God bless those chaplains who read the letter of the Archbishop in spite of the Obama administration! Who is this president that he thinks he can command bishops what to do as though he were an emperor? To read the report, the connivery of Obama, and the courage of many bishops and priests, click here. I am proud of our clergy who are realizing the threat to our religious liberty and are beginning to stand up and be heard. It is time the Catholic Church arises from slumber in America!